​Not without reason, the P.R.E. Horse is known as the Horse of Kings. It was the choice mount for Kings in both their day of Victory and War. 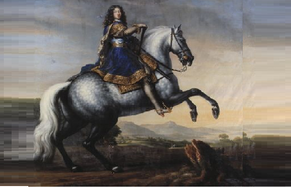 The original Baroque and Classical Dressage horse, the P.R.E. has also been used extensively in developing the modern European Horse. ​To see the P.R.E. 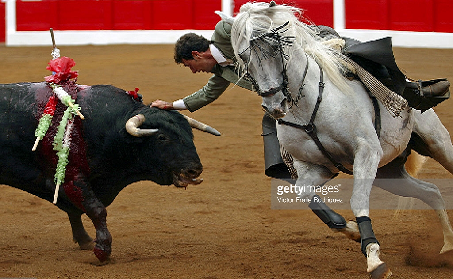 Horse working with bulls on the frontier areas of Spain or in the Arena in the large cities is a thrilling sight. The life of both the rider and the horse can depend on the communication, cooperation and bravery of the team. The most outstanding attribute of the Pure Spanish Horse is, without any doubt, temperament. The P.R.E. has a unique willingness to work with his less than perfect human companion. Whether ridden by a professional or a child, he is truly a horse that always offers his best. The Foundation was organized in response to the need for a New World based Registry that was responsive to the needs of Breeders based outside of Spain. The founders desired to institute a Registry that honored the traditions of the Cria Caballar but with modern technology and prompt turnaround times. The Foundation is a nonprofit public benefit corporation and is not organized for the private gain of any person. 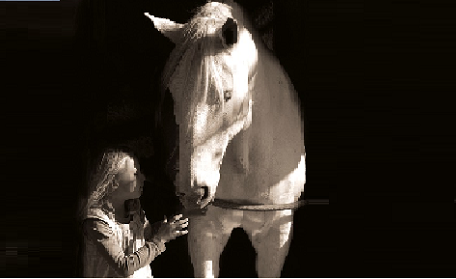 We are dedicated to the welfare of the Pure Spanish Horse. This is our priority over all else, to never compromise our integrity and to create an ethical institution of which we can be proud. ​the first horses of our Breed beginning in 1567. On November 28, 1567 by the Royal Decree of King Felipe II the Breed was formalized. The standards were set, the Royal Stable was established in the city of Córdoba and the brand designated. 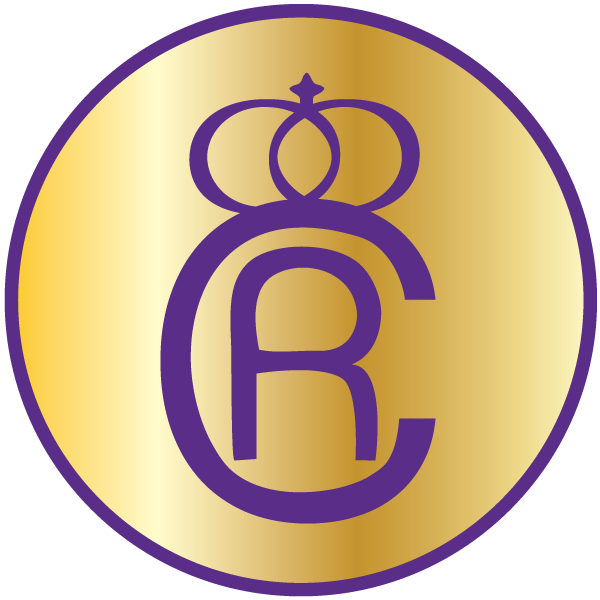 R for Real (Royal) inside a C for Córdoba with a corona or crown added, a customary additional Royal Stamp. Five centuries later the Royal Stables and its brand had been abandoned. D. Juan Carlos Altamirano found the brand and re-registered it in his name. ​Hearing of the works and efforts of The Foundation for the Pure Spanish Horse in the U.S.A., he generously donated this Brand to The Foundation for its sole and exclusive use. In 2003, the Royal Stables in Córdoba were re-opened for the P.R.E. Breed and this institution has been allowed an additional and final the use of the brand.